"weather Report: White Christmas As ""enchanting As A First Snow"""
It snowed on Christmas in San Francisco this year. In fact, it snowed every day (twice on matinee days) from early November to New Years Day. It snowed inside the Curran Theater, cascading down during the finale, falling over theatergoers who were falling over themselves. Irving Berlins beloved holiday movie musical WHITE CHRISTMAS had come to life onstage, delighting San Franciscos theatergoers, theater critics and weathermen. The Oakland Tribune cheered, Step aside, CHRISTMAS CAROL. Twirl back, NUTCRACKER. Theres a new kid on the seasonal entertainment block, and its star is Irving Berlin. Echoed the San Francisco Examiner, WHITE CHRISTMAS is enchanting as a first snow...Audiences drank it up like spiked egg nog. Variety reported, WHITE CHRISTMAS is a shiny package most audiences will be happy to unwrap...packed with brightly staged, well-chosen Irving Berlin numbers. WHITE CHRISTMAS is already a film classic, observed the Contra Costa Times. It appears the stage version has a great shot at similar status. For the stage musicals creators - especially the folks at Paramount Pictures, and here at R&H, where we administer the Irving Berlin catalogue - this was high praise indeed. 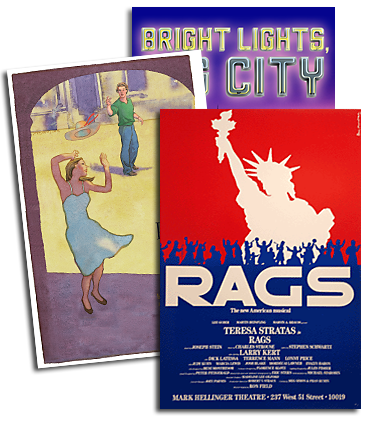 We always felt that Irving Berlins Hollywood musicals offered great potential for stage works, says Ted Chapin, President of R&H. Weve been working on several ideas, but the reason WHITE CHRISTMAS came first was because Paramount Pictures stepped forward and saw the potential too. Paramount Pictures produced the 1954 holiday classic WHITE CHRISTMAS. Starring Bing Crosby, Danny Kaye, Rosemary Clooney and Vera-Ellen, the film is a perfect Christmastime confection and a snapshot of a confident, optimistic and warmhearted America, basking in its post-war glow. Imbued with romance, humor, and more than a dash of patriotism, and nestled in a picture-perfect Currier & Ives setting, the film has become a venerable holiday tradition. It was also an ideal candidate for a stage treatment. In 2000, the St. Louis Muny, under the leadership of Paul Blake, presented a preliminary production of WHITE CHRISTMAS, with a script by Blake. Even in the heat and humidity of a torpid St. Louis July, the Christmas magic worked. 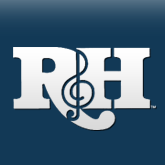 Over the next four years, R&H and Paramount sought to build on the Muny success. Paul Blake led the team to consider various options in both the US and Britain, where the film has enormous appeal. Then he took the project to Kevin McCollum. Having worked for Blake at the Muny years earlier, Kevin took note of the unusual snowfalls reported in St. Louis in Summer 2000 and, with his producing partner Jeffrey Seller, joined the production team. With their eclectic production credits - ranging from Tony winners RENT and AVENUE Q to Baz Luhrmanns LA BOHEME and Off Broadways DE LA GUARDA - McCollum and Seller have shown great instinct for knowing what audiences want. And they felt audiences would want a stage version of WHITE CHRISTMAS. At the first day of rehearsal for WHITE CHRISTMAS in October 2004, director Walter Bobbie (Tony winner for CHICAGO) marvelled: Kevin and Jeffrey are producing WHITE CHRISTMAS in a way that big musicals dont happen any more. They called me and said, Weve got a sensational score by Irving Berlin, and weve already booked a theater. Lets put on a show! No workshop, no years of development. They werent producing a reading; they were actually producing a show! As scary as that prospect seems, Bobbie concluded, I found it liberating. And their commitment gave the entire creative team an extraordinary focus. That creative team was first class: David Ives, the witty playwright and skilled script adapter for many show at Encores!, came aboard as co-author of the book; Randy Skinner (STATE FAIR, 42nd STREET) was the choreographer; and set designer Anna Louizos (AVENUE Q), costume designer Carrie Robbins (A CLASS ACT) and lighting designer Ken Billington (CHICAGO) brought the 1950s Yuletide look to life. As the Oakland Tribune put it, Watching WHITE CHRISTMAS on stage makes you feel as if youve stepped into a Technicolor movie musical. Just about everything involved in WHITE CHRISTMAS is top notch and enjoyable, continued the Tribune, but its Berlins glorious music that truly makes this ornament shine. WHITE CHRISTMAS on stage retained the most cherished songs from the film - including The Best Things Happen While Youre Dancing, Sisters, Count Your Blessings, Love, You Didnt Do Right By Me and that title song - while adding a few more gems carefully selected from Berlins song catalogue of 1,200-plus. Given its showbiz plot, the stage musical was able to make ample room for production numbers - from Blue Skies and Let Yourself Go to I Love a Piano and Let Me Sing and Im Happy - while making plot-turning numbers out of Love and the Weather, and Falling Out of Love Can Be Fun. A few more splashes of holiday cheer were added with Ive Got My Love to Keep Me Warm and Happy Holiday. We all wanted to make sure the interpolations made sense, says Ted Chapin. It was also very important that the score feel like a single entity. And that simply would not have been possible without the extraordinary work of the music department. Orchestrator Larry Blank, music director Rob Berman and R&Hs own Bruce Pomahac comprised this musical team. Bruces job description was vocal and dance arrangements, says Chapin, but he was much more than that. [See p.7.] For all intents and purposes, when Bruce was in the room, Irving Berlin was in the room, and it certainly helped that the producers provided for a 24-piece orchestra. The orchestra in San Francisco, I might add, was sensational. For director Walter Bobbie, the guiding principle, as he told the San Francisco Chronicle, was to take the songs and let them function in the way they do in the theater: to expand characters or drive the narrative. In the movie, theyre just sort of plopped in every once in a while, and those rules dont really work on stage. Brian dArcy James, who created the role of Bob Wallace (aka Bing Crosby) agreed: Berlins melodies are universal, undeniable...We have a chemical-positive reaction to them. And then theres the structure: his songs are incredibly well built and theyre deceptively simple. Theres a power to these songs, and in the context of a story, theyre brilliant, beautiful little vignettes of the human condition. The productions surefire ability to hit just the right note - celebrating nostalgia, not mocking it - scored well with critics. Director Walter Bobbie and his crew have created a feel-good show that borrows from the past but doesnt feel remotely like a museum piece, said the Oakland Tribune. WHITE CHRISTMAS breaks none of the rules, noted the Examiner, yet by doing so, it feels like its broken every one of them. Or, as Bobbie himself put it, You know, this show is so not-hip that it just may be the coolest thing Ive ever done. In the Chronicle, he elaborated: No camping or goofing on it, from the design to the orchestrations to the vocal arrangements...I find there is a wonderful purity to the time and place in this story. Its what I call a pre-neurotic musical. Pre-neurotic, WHITE CHRISTMAS was also a pre-Christmas present to the Bay Area, its snow starting to fall in the very first week of November. Christmas arrived early, reported the Chronicle. But when the gift is as sweetly wrapped and as packed with melodic delights as Irving Berlins WHITE CHRISTMAS, a premature present couldnt be more welcome...The voices are superb, the acting is engaging, the design is entrancing and the choreography positively exhilarating...In these dark times, we could all use some heart-warming. The world premiere of Irving Berlins WHITE CHRISTMAS at the Curran Theater in San Francisco was produced by The Producing Office (Kevin McCollum, Jeffrey Seller), Paul Blake, Dan Markley and Sonny Everett...For updates on future plans for WHITE CHRISTMAS, visit www.whitechristmasthemusical.com or the WHITE CHRISTMAS show page at our new website, www.rnhtheatricals.com.